At BlueTone Media, we’ve been creating websites for over 15 years! When it comes to website design, we’ve seen new technologies develop and fads come and go. But we’ve also seen some things stay fairly consistent. Some facets of your website may change over time, but there are seven must-haves that we think should always be present. Without these, you risk falling behind your competition and losing traction in this fast-paced world. This month, BlueTone Media turns 15 years old. Take a quick journey with us from where we started, where we are now, and where we're headed next. It all started like several other tech companies, except instead of a garage, it was a guest bedroom. We'd like to announce our newest site: CapeFearless.com! 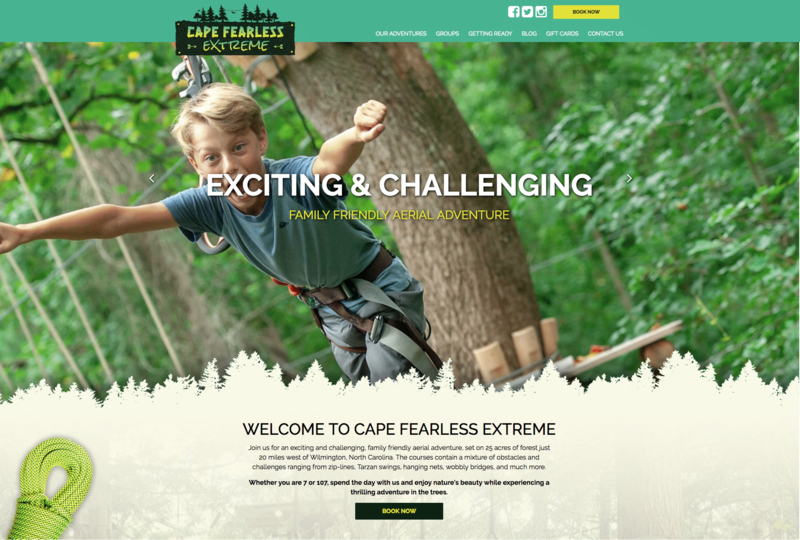 Cape Fearless Extreme is an Adventure Course Park, located in Riegelwood - right outside of Wilmington, NC. They offer multiple courses, all designed to bring you closer to the people you care about. We all know that struggle brings people together. But doing it this way, you'll be able to bond without ever facing any real danger or hardship - all while having an absolute blast! Display Ads have long been a staple in digital marketing, everyday users are bombarded by these ads on the different websites and apps they visit. But are people actually clicking these ads? We're proud to announce the newest site in our lineup - KellersInc.com! Kellers, Inc has been around since 1973 - that's almost half a century of experience!